LG, Motorola and Huawei will all launch new smartphones in the next three weeks as they try to chip away at Apple and Samsung Electronics, a task that doesn't seem as insurmountable as it did a year ago. There is more competition than ever coming from the second-tier smartphone brands, market research company Strategy Analytics said last week. Its numbers for the first quarter showed that Samsung and Apple lost market share year-on-year. For Samsung it was the first time that happened since the end of 2009. Huawei and Lenovo both helped cause these drops. Huawei is expanding in Europe, while Lenovo continues to grow outside China, including in, for instance, Russia. If Lenovo's Motorola Mobility acquisition is approved in the coming months, it will create an even larger competitive force for Samsung and Apple to contend with during the second half of this year, according to Strategy Analytics. "From Motorola, Lenovo can learn how to manufacture more advanced 4G smartphones for U.S. and European consumers. Lenovo has been heavily focused on low-cost 2G and 3G devices in China for the past few years, but it's currently lagging badly in the international market," said Neil Mawston, executive director at Strategy Analytics. Motorola can also help Lenovo develop better products, according to Carolina Milanesi, chief of research at Kantar Worldpanel. "Motorola can help Lenovo deliver a rich Android experience and get the balance between design and technology right. Motorola still has key relationships with carriers such as Verizon which will certainly help Lenovo," she said. About six months ago, Motorola launched the Moto G, a device that redefined how much smartphone you can get for less than US$200 without a contract. Next week the company will launch another affordable smartphone, hoping to build on the success of the Moto G.
As competition heats up, Lenovo will be able to take advantage of Motorola's work on cheap smartphones as well. To make up for a less than stellar first quarter, Samsung recently said it would develop more low-end phones -- a move that puts vendors like Lenovo in the crosshairs. Before Motorola gets to show off its low-end prowess, Huawei is expected to launch the Ascend P7 on Wednesday at an event in Paris. The new Android 4.4-based flagship model will have a 5-inch full HD screen, a 13-megapixel camera and an 1.8GHz quad-core processor, according to rumored specifications. On paper, that adds up to a product that can hold its own against most other devices. But today's smartphone market is about more than hardware specifications. To become more competitive, Huawei needs to continue to improve the quality of its smartphones, but most of all, the company has to work on brand perception, according to Milanesi. The last of the May smartphone launches will come from LG. It had a good first quarter, but wasn't quite able to keep up with the growth of Lenovo and Huawei. 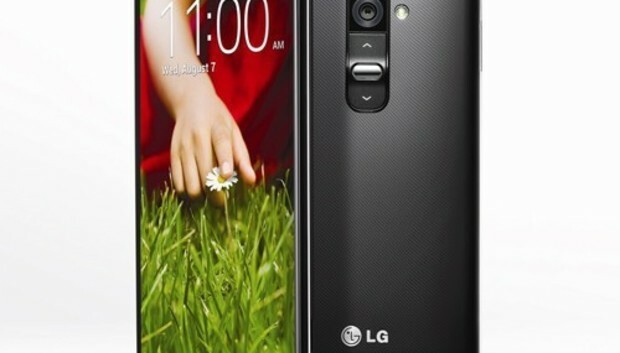 To help it catch up, the company is expected to launch the G3 on May 27 at an event that will take place simultaneously in London, New York and San Francisco, highlighting LG's hope the device will have international appeal. The phone is expected to have a 13-megapixel camera with optical imaging stabilization and a screen with a 2560 x 1440 pixel resolution, which would help differentiate the device. But to become more competitive, LG too has to make changes that go beyond cool hardware. It also has to improve the software, and what's needed are a few things that aren't gimmicks but that really improve the user's enjoyment of the device, Milanesi said. Even if the first quarter numbers were encouraging, Huawei, LG and Lenovo, with the help of Motorola, still have a mountain to climb to seriously threaten Samsung and Apple. Samsung and Apple's respective total market shares may have dropped by 1.2 and 2.2 percentage points year-on-year, but they still have a huge lead over the competition. They sold 89 million and 43.7 million smartphones, respectively. That compares to the trio of challengers that together sold about 39 million units. Also, Samsung and Apple aren't sitting on their hands while the competition is growing stronger. In addition to stepping up its low-end push, Samsung has been working on making its products more attractive via content deals. For example, a deal with Amazon will provide owners of its smartphones and tablets with free books via a customized Kindle app. Samsung has also sent out invitations to a May 28 event in San Francisco, at which the company is expected to expand its health-related offerings. When it comes to Apple, what remains to be seen is when -- not if -- the company's rumored large-screen models will arrive, filling a gap in its portfolio that has been exploited by the competition, according to market research company IDC. The next product launches from Apple will come at its Worldwide Developers Conference in the beginning of June.